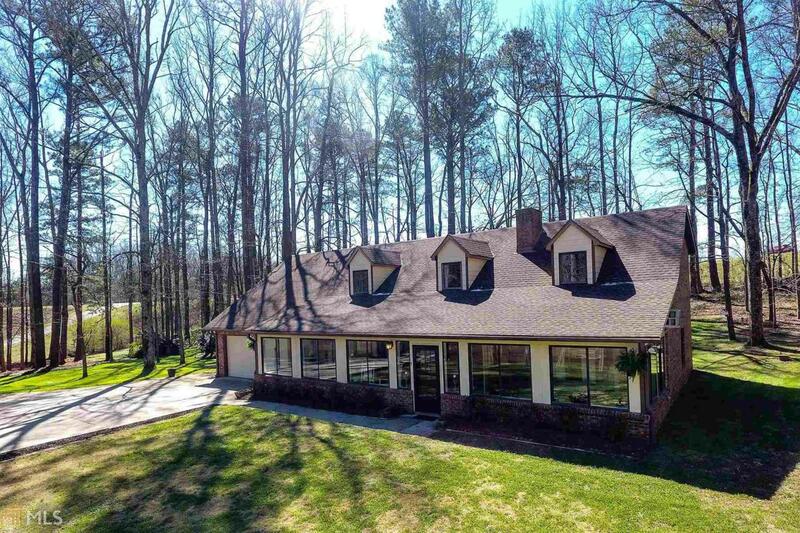 4 sided brick home on almost 3 acres! Fish in your backyard! Pond is shared with one other home owner(right across the pond). Stunning four seasons sun-room overlooks the pond and can be used year round. Open floor plan is perfect for family gatherings and entertaining. Kitchen offers tons of cabinet and counter space with breakfast bar. Master is located on main level and boasts french doors that lead out to sun-room. Upstairs are two very large bedrooms and an office. Home is energy efficient with upgraded windows throughout. Don't miss the opportunity to vacation year round!